A natural soy lecithin-based emulsifier, ideal for making airs. This product, discovered at the end of the 19th century, was first produced for the food industry in the last century. It is useful in the prevention of arteriosclerosis and contains vitamins, minerals and antioxidants. 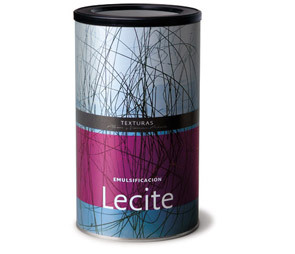 Lecite is made from non-transgenic soy. Very soluble in aqueous mediums. It also has a surprising capacity to emulsify impossible sauces. Thanks to its great emulsifying power, Lecite is the ideal product for converting juices and other watery liquids into airs.